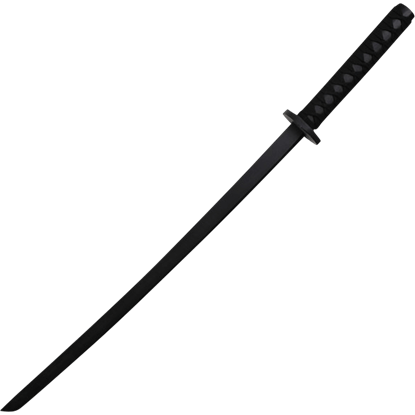 Those studying the way of the sword in Japanese martial arts begin with a wooden training weapon known as a bokken. 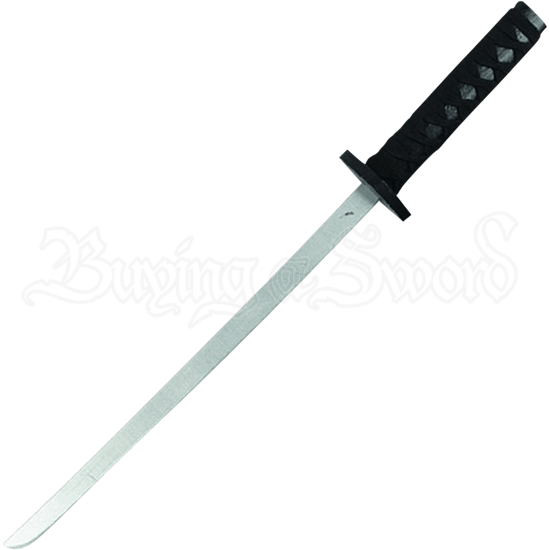 This Wooden Practice Wakizashi is suitable for light sparring and makes a great addition to any costume ensemble. 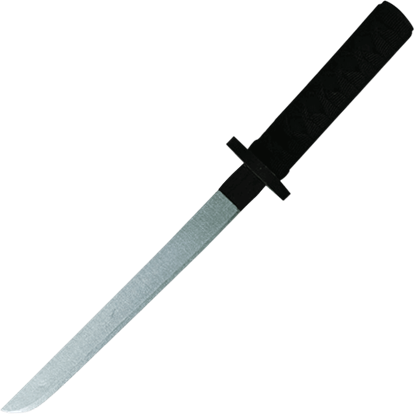 The single edge blade is painted metallic silver and displays the traditional curve of the Japanese sword. The circular guard protects the hand against incoming blows. 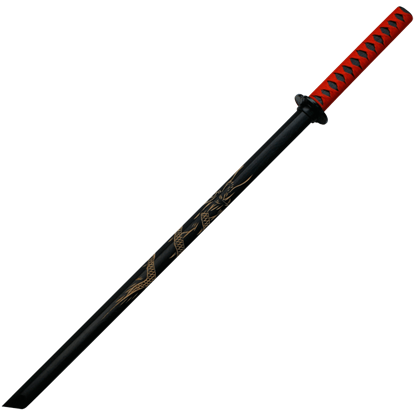 The black handle and scabbard are wrapped with nylon cord. 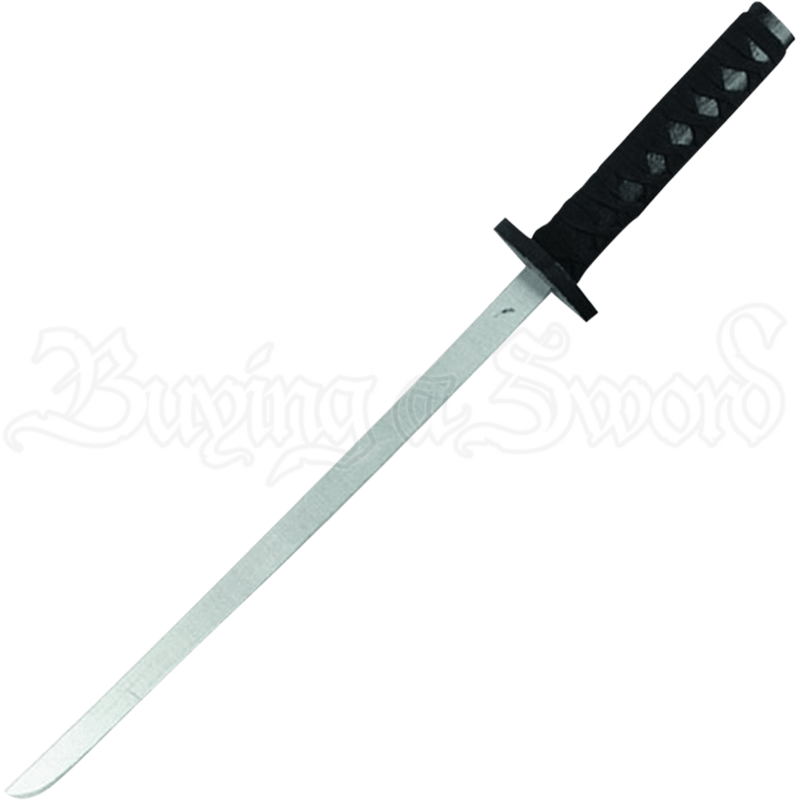 Perfect for cosplay outfits, combat training, and theatrical productions, the Wooden Practice Wakizashi is great for all ages.